The cliché of the bedroom producer, all alone making music, is well known nowadays. Yet with Will Wiesenfeld (aka Baths) this was an unavoidable reality when he suffered from an e-coli infection. It may not have been the starting point of ‘Obsidian’, his second album, but it certainly had an impact. Take Incompatible for example. What other artist would include the lyric “You live in my house and we share a toilet seat”? This is a song about a sexual encounter, a “maiden voyage”, yet medical connotations crop up as he gently intones “nurse this erection back to full health”. Despite this explicitness, the track is the album’s most tender moment – as if, alone in his room and suffering from ill-health, this sort of relationship is but a dream. 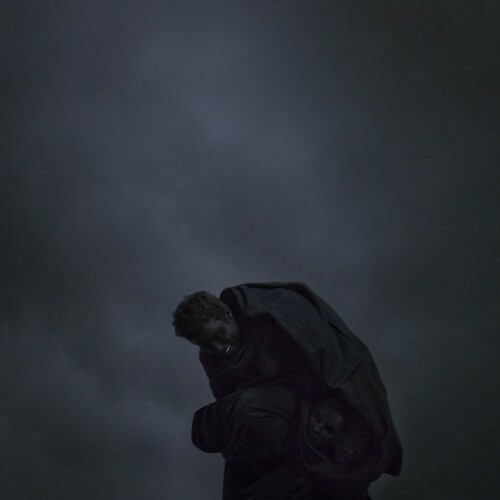 It’s this juxtaposition of romanticism and darkness that characterises ‘Obsidian’, an album that centres on the morbidity of human existence. “Where is God when you need him the most?” Wiesenfeld calls out on opening track Worsening, whilst Phaedra evokes the Greek myth with the lines “the thought of mortality dormant in me…Phaedra it is you that made me want to kill myself”. In Earth Death, meanwhile, the rumbling bass suggests a great maw in the Earth pulling the singer to his doom; following track Inter is his wordless fall. Wiesenfeld’s escapist vision far outstretches his limited physical confines in an album that relishes in the darkly dramatic and romantic aspects of suffering. It’s not all doom and gloom though. His musical style invites comparison with the likes of Radiohead or James Blake: predominantly electronics-based, but expanded since his previous material to include live instruments. And despite the heavy, noirish subject matter, there’s a lightness of touch in the production that ensures immediacy – from his quivering vocal, to the shuffling beats of Worsening, the insistent synth melodies of No Eyes, or Phaedra’s galloping drums. Just as a volcano leaves a trail of precious gems in the wake of its destruction, ‘Obsidian’ proves that sometimes our darkest hours can be channelled into something beautiful. Listen: 'Obsidian' is available now.